Memorial Day weekend doesn't mean a break in weekend track work for Metro. Six Red and Orange line stations will be closed this weekend. On the Orange Line, four stations will be closed: Vienna, Dunn Loring, West Falls Church and East Falls Church. On the Red Line, the Shady Grove and Rockville stations will be closed. 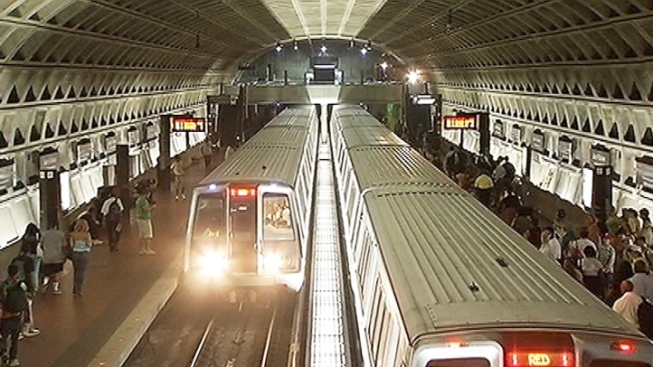 Free shuttles will replace Red Line trains between Shady Grove and Twinbrook. Shuttles will operate between Vienna and Ballston for Orange Line riders. The work will begin at 10 p.m. Friday and will wrap up at closing Monday night. No work is scheduled for the Blue, Yellow or Green lines.